All Aboard the Cuyahoga Scenic Valley Railroad - Ohio. Find It Here. 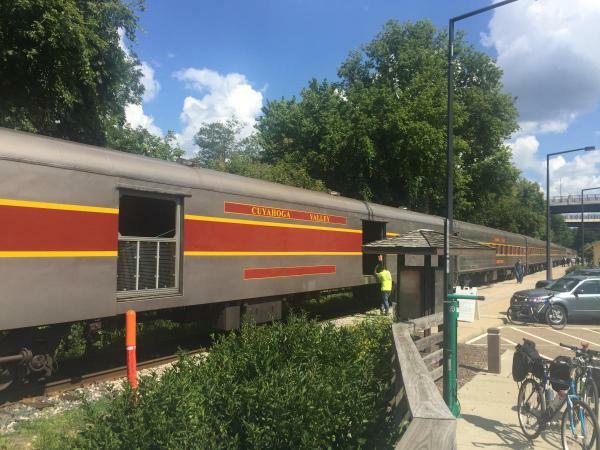 While the Cuyahoga Valley Scenic Railroad is one of the oldest tourist excursion railways in the country, it is always kept fresh with new features and unique riding experiences. This is why you should put a train trip on your bucket list this fall. The CVSR can be found in Northeast Ohio, running through the heart of the Cuyahoga Valley National Park (the one and only national park in the state of Ohio). The main portion of the railway runs northbound from Akron in Summit County, all the way to Independence in Cuyahoga County. There are smaller stops along the way, such as at the town of Peninsula. There are many ways in which one can experience the Cuyahoga Valley Scenic Railroad. The most common way is by purchasing a round trip ticket, boarding at any one of the stations, and taking the full 3 hour ride. You can get coach seats (seats are in sections of 2 seats facing 2 seats), first class seating (cushioned seats in sections of 2 seats facing 2 seats, with plenty of leg room), and upper dome seating (elevated section with a panoramic view of the National Park). This is a great way to see the beautiful landscapes roll by: trees, rivers, hillsides, meadows, and some residential areas. You can take an audio tour by downloading the CVSR app. The audio tour will allow you to hear the tales of the history of the National Park, some facts about the wildlife, and more. You could also opt out of the audio tour, and simply enjoy the company of the fellow passengers and the knowledgeable volunteer staff. On my recent trip, the staff pointed out a large eagle’s nest, and told us some more fun facts along the way. Take a book or magazine to read, and definitely a camera or camera phone to capture some of the scenery. A snack bar is located in one of the cars in the back of the train, which offers hot dogs, popcorn, chips, candy, beer, wine, soda, and more! There are also souvenirs, like shot glasses, stuffed animals, and t-shirts. A 2-hour wine tasting excursion, with 5 different wines paired with hors d’oeuvres. There are several Grape Escape themes, such as California Wines, Summer Wines, and Ohio Wines. Much like Grape Escape, but with beer instead of wine! You get 5 different beers paired with hors d’oeuvres. Again, different themes exist for each ride, including: Hoppin’ Frog Beers, Summer Brews, and Thirsty Dog Brewing Company Beers. 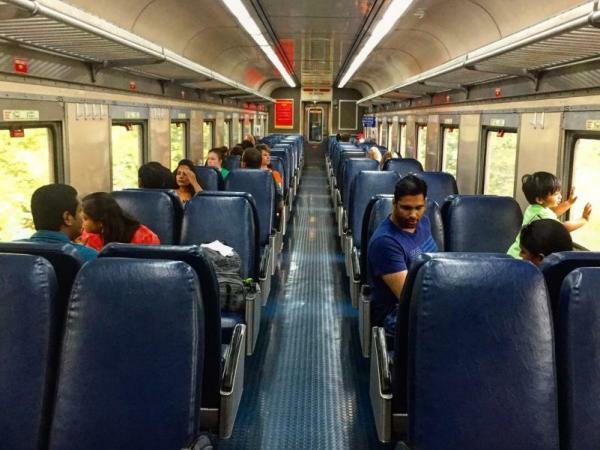 This special feature allows you to bring your bike on board the train for just $3. However, this is just a one-way trip! Take it to another station and then bike back to your car at your starting point! This extremely popular event takes kids and their families on a holiday themed train ride to the “North Pole” starting November 10 through December 21. Complete with elves, Santa Claus, hot cocoa, and a train station transformed to look like it’s straight from the famous children’s book! Celebrating its 25th year, THE POLAR EXPRESS™ always sells out fast – so be sure to book it for your kiddos today! Special meals are served for those that want to dine on more than just snacks during their train ride. There are tons of other fun events, such as a Veteran’s Day Ride, a Christmas Tree Adventure, a “Day Out With Thomas The Tank Engine,” and Murder Mystery experiences, so be sure to check the website. 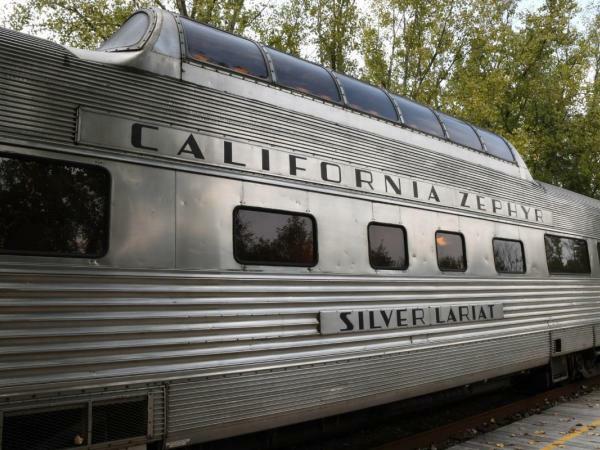 Most recently, the CVSR acquired four historic railcars from the famed California Zephyr fleet. These sleek railcars will allow CVSR to provide new programming and experiences, including 360-degree views in two of the “Vista Dome” cars. This makes CVSR one of the nation’s only railroads with four cars from the California Zephyr fleet. With this acquisition, CVSR becomes one of the nation’s few railroads in possession of four cars from the original California Zephyr fleet. These train cars will be available for the beer and wine tastings, as well as THE POLAR EXPRESS™. With all of these features, it’s clear that the Cuyahoga Valley Scenic Railroad is something everyone should try in one form or another! For more excitement and adventure, Find It Here. at Ohio.org.